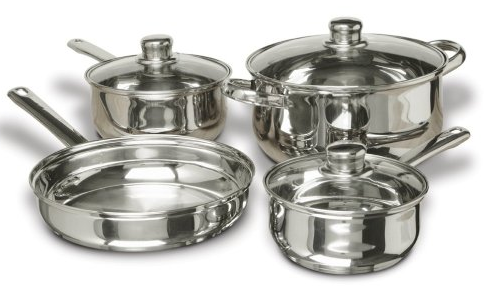 7-Piece Stainless Steel Cookware Set Only $34.98! You are here: Home / Great Deals / Amazon Deals / 7-Piece Stainless Steel Cookware Set Only $34.98! worrying about ruining your cookware. Get this screaming deal of a 7-Piece Stainless Steel Cookware Set for Only $34.98! You can also get FREE shipping if you have an Amazon Prime account or with any order over $35!